More and more people are logging into sites and apps with Facebook. 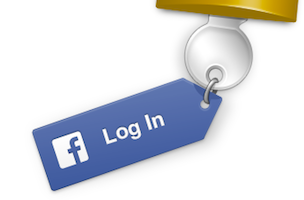 The latest report from Gigya shows that worldwide, 58 percent of social logins happen with Facebook as the conduit. Facebook, as a social login mechanism, is seeing penetration rates as high as 80 percent in Central and South America. The trends we saw in Q2′s social login data continued in Q3, with Facebook continuing to make incremental gains as the web’s most used third-party identity provider. Also in step with recent trends, Yahoo continued its precipitous decline, dipping below 10% of all social logins in the quarter. Facebook’s majority position seems to have been solidified by the company’s recent changes to Facebook Login, which now includes line-by-line controls for users when they choose to log into sites and apps with their Facebook credentials. Learn more about how Facebook dominates the social login landscape by checking out the infographic below.